Mush is located on the left bank of the river Mush. The mounts Tirnkatar and Kordukh of the Armenian Taurus mountain chain are located in the south. 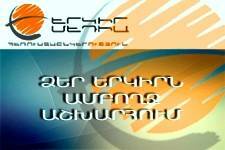 In the beginning of the 20th century Mush had approximately 25.000 population, 9000 of which were Armenians. Here there were operating the churches of St. Avetaranac, St. Gregory the Illuminator, St. Kirakos, St. Harutyun, St. Sargis, St. Marine, St. Stepanos, St. Prkitch (St. Savior). There were also 2 mosques in Mush. The most beautiful and impressive church was St. Marine, while the oldest one was the church of St. Prkitch, which dates back to 851-52 years. The fortress of Mush is located on the eastern side of the town. 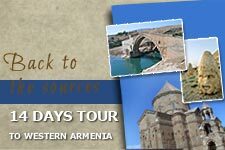 This is one of the oldest settlements in the Armenian highland. Here there were found traces of Cyclopian castles, as well as inscriptions of the king Menua (810-789 B.C.). The foundation of the city is referred to Vahan Mamikonyan. The ruins of the Mush Fortress, Hoghaberdzik and Astghaberd fortresses are located in the western part of the town. During 851-52 Mush was a centre of the fight againts the Arabs. 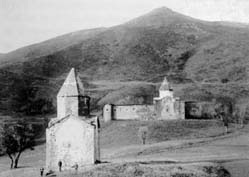 In 852 Yusuf was killed by Khutetsi Hovnan and his army in the church of St.Prkitch. The Arakelots monastery is situated 10 kilometers southwest from the town of Mush, on the slope of the mountain Tirnkatar, which is located in the middle of the Taurus mountain chain. As in the case of the other monasteries in Mush, the Arakelots monastery also had different names. 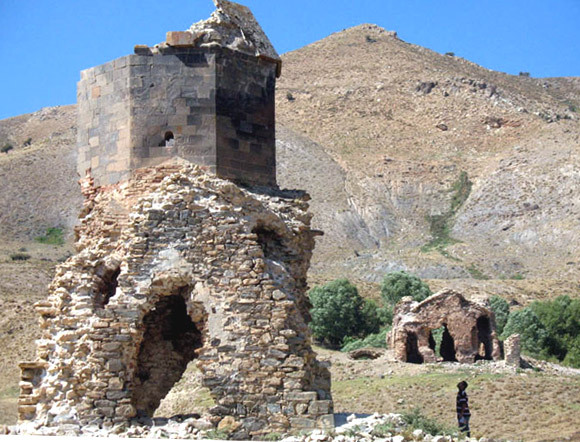 Usually it was called Arakelots, but in order to differ it from other monasteries, it was also known as Arakyal monastery of Mush or Erkotasan Monastery. The latter means 12 Arakelots churches. According to the legend, when Gregory the Illuminator founded the church, the remains of 12 apostles were brought here. It was also known as Ghazaru and sometimes Eghiazaru monastery, as far as the first archbishop of the monastery was Eghiazar. As far as the monastery is situated on the slope of the mountain Tirnkatar, it is also known as Aregnatsag tirnkatar monastery. It was also famous as Dladzor monastery because of the gorge which is situated on the right side of the monastery. And because of the chapel St.Tade the monastery was also known as St.Tade monastery. The construction of the monastery was finished by Tornikyan governors of Sasun. 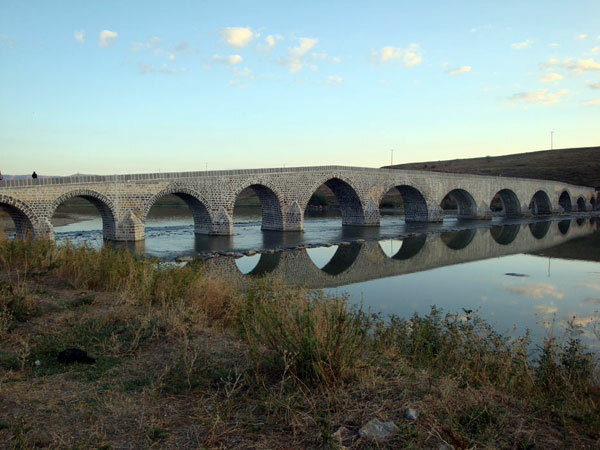 The bridge of Sulukh is situated on Aratsani river on the road Mush – Khnus, not far from Sulukh village. 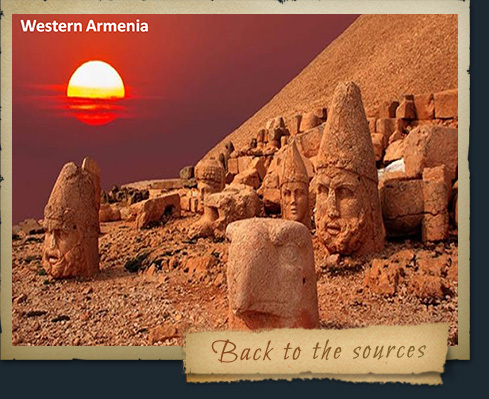 It was built in the 14th century by the order of Lenktemur with the stones of destroyed Ashtishat Township. It has 14arches, and is standing up till now. Here Gevorg Chaush was killed on 27th of May, 1907.